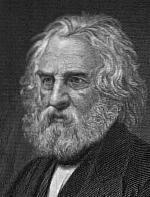 Henry Wadsworth Longfellow, who lived between 1807 and 1882, was the most popular American poet of the 19th Century and considered the first professional American poet. A Harvard professor, his reputation was world renown. In his poem, The Builders, he gives us some sage advice concerning the building of our character and our fate.